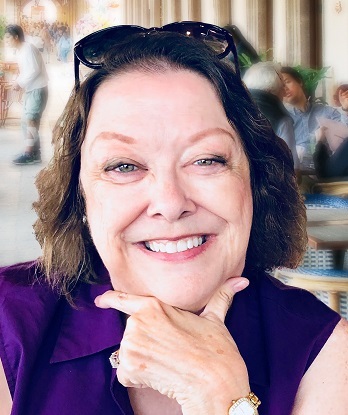 Mrs. Rebecca “Becky” Sue Swartz, daughter of the late Kenneth and Marian (Nye) Miller was born on August 17, 1951 in Akron Ohio and was called home to be with her savior on April 7, 2019. Becky attended public school in Alliance and Massillon and graduated high school from the Jackson School District. Becky graduated Messiah College with a Bachelor of Science degree in Music Education in 1973, and, after raising her family, returned to school at the age of 50 to acquire a Paralegal Degree from the University of Akron, earning a straight “A” average. On May 20, 1972, Becky was united in holy matrimony with Kevin David Swartz and their family was blessed with five children and nine grandchildren, with one more expected in July. Becky taught in a variety of public-school settings, including Jackson and Timken High Schools, where she directed multiple choral groups and produced the annual musicals. She sang with Canton Civic Opera and served as director and/or organist at Christ UMC in Louisville, First Friends Church in Canton, Grace UCC in Massillon, and most recently at Crossroads UMC in Canton. In October of 2016, Becky was sent out from her home church, Church of the Lakes, to serve as a licensed local pastor for the Mapleton UMC congregation. For many years Becky played for the annual Berean Music Festival and directed their Premier Choir, made up of choristers from local area churches. Whether as a wife, mother, daughter, sister, director, teacher, pastor, or friend, Becky was loved by all who knew her. Her manner of living the faith she professed put her love for Jesus on full display and pointed others to the wonders of His mercy, love, and grace. Becky is survived by her husband Kevin, sons Geoffrey (Becki) of East Canton, Andrew (Dr. Jamie) of London, England, Corbin of Canton, and daughters Ja (Charles) Benick of Columbus, and Dottie (Scott) Anstine of Chico, California, her brother Ted Miller, in-laws Harold and Laurie (Swartz) Schreiber, Tim and Pat (Wenrich) Swartz and, Tim Wert all of Millersburg, PA, along with grandchildren and a large extended family of cousins, nieces, and nephews. Becky’s calling hours and service will be held at the Church of the Lakes, 5944 Fulton Drive NW, Canton, OH 44719. Calling hours will be held on Friday, April 12 from 2:00 – 4:00 pm and 6:00 – 8:00 pm with a Celebration of Life service to follow on Saturday, April 13, 2019 at 11:00 am. Condolences may be left at: www.gordonfuneralhomes.com.